One of the most outstanding winning story of 2018 is of Melhig Melhig 28 years old immigrant in Canada who turned millionaire by winning two lotteries in five months. The games that he played were Instant Scratchies by Western Canada Lottery Corporation. He won two scratch-off games in the space of five months. Melhig, who hails from west Africa had moved to Winnipeg two years ago. In a press statement he said ‘I’m young. You always need to think about how to grow’ and playing lottery was the means he might have thought to grow financially. Melhig played scratch off game first in April 2018 which was the first legendary win that came along when he bought a scratch ticket from a convenience store and he ended up winning C$1.5 million. Following the win, Melhig quickly moved his wife and children from their small apartment to a bigger one. But overwhelmed and amazed by the first win, Melhig continued to play the lottery again. In August, 2018 Melhig visited a Giant Tiger store to buy a game for his children. When the clerk handed him a $20 bill as change for the toy, Melhig asked for a $20 Scratch ‘N Win ticket instead, officials said. Thus the second historic win of C$2 million happened at Giant Tiger store in Winnipeg. Now, the 28-year-old African immigrant plans on buying a gas station or car wash and improve his English and communication. He wants to learn something useful, like carpentry and wants to go to school and pursue his studies. The price range of Scratch lotto games tickets varies from CA$1 to CA$30. There are various scratch card to play with different themes and different prizes to be won. You can play Bingo, Crosswords, Set for life, Pingpong, Blackjack, Mega Cash, Multimillionaire, X money and more of such kind. To play you need to just buy the scratch card ticket with the nearest lottery retailer near you. Different games have different instructions to follow like in Did I win scratch card you need to Scratch the Play Area and if you uncover a YES YOU WIN symbol, you win the corresponding PRIZE amount directly below that symbol. If you uncover a COIN DOUBLER symbol, you win double the corresponding PRIZE amount directly below that symbol. If you uncover a GOLD BAR WIN IT ALL symbol, you win each of the 20 PRIZE amounts shown in the Play Area. Similarly the instructions as how to do are given at the scratch off card itself to play the game. Melhig Melhig, made total winnings of CA $3.5 million in 5 months is really incredible. Melhig had a one in 900,000 chance of winning the first time, according to lottery officials. The second time, his odds were one in 1.3 million. So what are the chances of someone winning two major jackpots in such a short period of time. Difficult to calculate is what the Western Canada Lottery Corporation has to say. Western Canada Lottery Corporation or (WCLC) is a non-profit organization authorized to manage, conduct and operate lottery and gaming-related activities and works in conjunction with the provincial and territorial marketing organizations: Alberta Gaming, Liquor & Cannabis, Saskatchewan Lotteries, Manitoba Liquor & Lotteries Corporation, Lotteries Yukon, NWT & Nunavut Lotteries. You can play lottery games like Daily Grand, Lotto Max and Lotto 6/49. In addition, WCLC offers regional games as authorized by its Members including: Western 649, Western Max, Poker Lotto Extra, Pick 2, Pick 3, Pick 4, Sport Select, Keno, and a variety of Scratch n Win games. You must be 18 and over years of age to play these lottery games. Melhig is not the first Manitoban to win big. In 2007, a woman won $1 million on a Set for Life ticket after winning the same prize on the same kind of ticket two years earlier. In both instances, the woman bought tickets when visiting Winnipeg to attend her grandson’s hockey tournament. You can be a winner too! It’s all lucky in these games of chance. 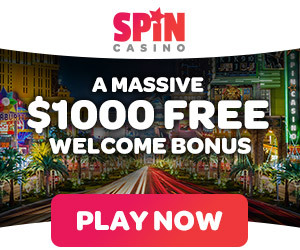 ← How to play $5 Big Spin Instant Lotto in Ontario?